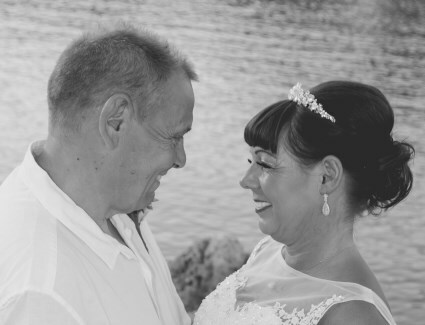 We had a truly magical day when we married at St Pauls Bay Chapel in Lindos. Tracy was our first point of contact in England and was very professional and prompt dealing with our requests and queries. Justine and the team in Lindos were excellent and we couldn't have wished for things to run more smoothly and stress free. A big big thank you to Michelle who looked after the girls, and Audrey who looked after the boys. We have some really lovely memories to cherish and had soooo much fun. Thank you all for the best day ever. Just arrived home on Wednesday from a wedding that excelled our dreams, it was absolutely amazing! Thank you so so much to Justine, Tracy and all of the team at Unforgettable u are all brilliant at what u do I would definitely recommend them - from start to finish they really did help make my life so much easier. Justine completely takes the weight off your shoulders on ur big day so u can relax and enjoy yourself. Thanks so much all of you, we really appreciate everything you have done for us. Thank you to the whole Unforgettable Rhodes Weddings team. From start to finish you were all AMAZING! Tracey was brilliant! Really patient and accommodating and always available to speak when needed, and being so indecisive myself was much needed. Nothing was too much for her. Samina was fabulous putting me and my bridesmaids at ease, while creating an amazing hairstyle and fantastic makeup. She fitted right in with girls straight away, having a dance and sing to our old skool garage and jungle playing in the background as we got ready. Justine was equally as fabulous! I liked her as soon as we met on our arrival in Rhodes, and again, nothing was too much trouble for her. Any last minute changes that needed to be made were made with no issues at all. With over 100 guests she had a lot on her hands, but handled it with ease and professionalism. If there were any problems I didn't know about them. She was great!! I am writing this review from my mums Facebook. 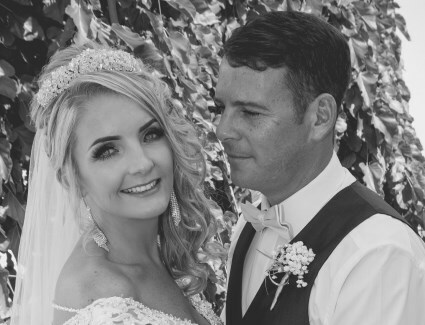 We got married yesterday at Kalithea Spa then onto Tsambikos taverna and Unforgettable organised it all .. my husband and I can't praise you all enough, it was such a magical day with not one problem and very professional. As the bride I didn't worry about a thing as Justine and Michelle had it all under control. Just to say thank you for organising our fabulous wedding. It was perfect from start to finish and more than we ever imagined. Thank you so much for organising the most magical wedding day we could have wished for! We got married at Kalithea Spa in August. Planning from home was made very easy by Tracy who gave so much advice and support, both over email and over the phone. Having a wedding consultation when we arrived in Rhodes put us at ease as Justine ran through everything and answered any questions we had. Everyone involved in Greece (planning, hair and make up, nails and photography) were fantastic and made us feel so special. 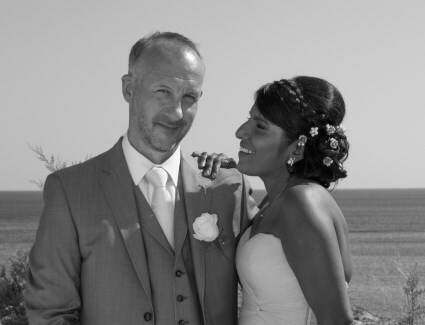 Our wedding day was perfect, because you were all so organised and helpful we felt we didn't need to worry about anything and could just enjoy our special day. We cannot thank you enough for everything you did, you made our wedding day everything we wished for and more. 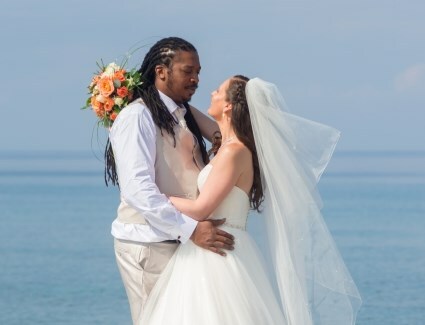 Thank you Justine, Michelle, Natasha, Tracy and “the absolute genius” hair and make up artist Samina for making our wedding day in Rhodes the best. It wasn’t the best logistical option to have the ceremony at Kalithea and the reception at Lindian! I'm sure it wasn’t easy to organise the coach, boat, sweet cart, fireworks, and Greek dancers whilst looking after 60 people! 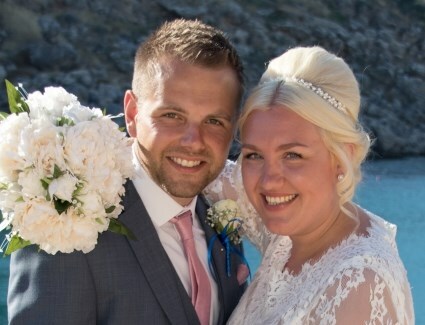 Myself and my husband have just arrived home from Rhodes where had the most amazing wedding at Kalithea and the Sheraton hotel. Words cannot describe how magical our day was from start to finish and we cannot thank Tracy, Justine, Michele and everyone else involved enough. The day ran like clockwork from hair and makeup, photography, beautiful flowers, transport, luxury yacht, greek dancers and more! 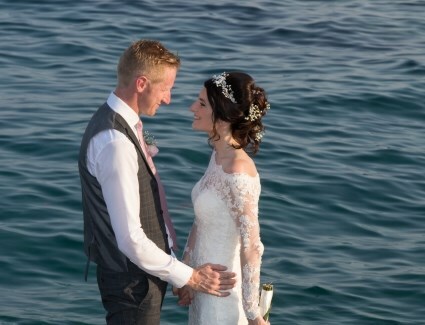 We would recommend Unforgettable weddings to anyone thinking of getting married on the beautiful island of Rhodes.Thank you so much, we will treasure the memories of our wedding day forever, it really was more than we could have ever imagined. 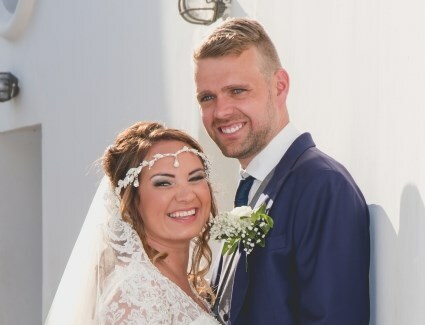 Just e-mailing to say thank you for all your help in planning the best day of our lives, everything went so smooth and everyone thoroughly enjoyed themselves! Everyone said it was an amazing experience and the best wedding they ever attended, so thank you. Apologies it has taken so long to thank you, I suppose the shock of returning home and back to reality after our magical day has taken longer than I thought to get over. I have been telling everyone we used you and should anyone ever think about that type of wedding, I will definitely pass your details on. So thank you again, from a very grateful Mr and Mrs.